These offers are free with the purchase of the Firefox Sweetie 14 Bicycle. The Firefox Sweetie 14 is a kids bicycle for girls between the age of 3 to 5yrs. This bicycle comes with a steel oversized frame built for girls. It comes with trainer wheels and a basket in the front. The Firefox Sweetie 14 does not have gears as it comes only in a single speed option. The brakes on the Sweetie 14 are basic steel calipers that are controlled by Plastic levers. The wheel size of the bicycle is 14". The tires on the Firefox Sweetie 14 are 14" * 1.95" BMX styled tires, that are fitted on to Steel rims (20H). The Price of the Firefox Sweetie 14 is Rs.6400. 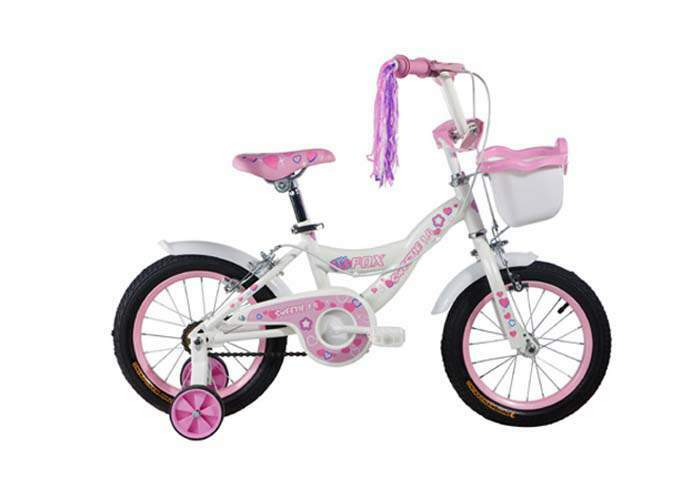 If your are looking for a well-built and cute bicycle for a girl between 3 to 5 yrs, the Firefox Sweetie 14 is a good option. It comes in a nice shade of white with shades of purple, and a trendy frame design. 2. In what condition will I get the Firefox Sweetie 14? 6. How will I know if Firefox Sweetie 14 will fit me without riding it? 7. How long will it take for me to receive the Firefox Sweetie 14?